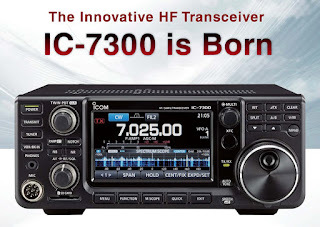 Many thanks for your thorough and thoughtful comments on the IC-7300. As you are doubtless aware, I have tested a fair number of direct-sampling SDR's over the past few years as well as legacy (conventional) transceivers. I have learned from this test activity that a direct-sampling SDR receiver is a totally different "animal" than a legacy receiver, and requires a completely different approach to performance testing. The old "touchstone" metrics of DR3 (3rd-order IMD dynamic range), BDR (blocking dynamic range) and IP3 (3rd-order intercept point) are completely meaningless in the context of an ADC. On an SDR, I do not test BDR, DR3 or IP3. I measure the absolute power of IMD3 products over a range of test-signal levels (typically from just below clipping to the noise floor) and draw a chart with the ITU-R typical urban and rural band noise levels at the test frequency as datum lines. This test is termed IFSS (interference-free signal strength). If the IMD3 product is below the band noise level, it will not be heard. RMDR (reciprocal-mixing dynamic range), a function of phase noise, is still highly relevant to an ADC. Unlike the case with IMD3, it takes only one interferer to create reciprocal mixing noise which will mask a weak signal. One big advantage of a direct-sampling SDR is that it gets rid of the analogue LO's, which are the source of phase noise in a legacy receiver. The major determinant of phase noise here is the ADC clock, which can be a high-grade, low-noise crystal oscillator. By the same token, a DUC (digital up-conversion) transmitter will generate a much cleaner signal than almost any legacy transmitter. I always measure RMDR. The noise-power ratio (NPR) test is also useful for assessing the performance of a receiver on a crowded band. It is a great test for direct-sampling SDR's, as the NPR value for a given ADC can be predicted mathematically and the measured value compared to it. The NPR test will also reveal passive IMD (PIM) in preselector inductor cores and other passive components. I measure NPR on every radio I test. I am really looking forward to getting an IC-7300 onto my lab bench. The test report will appear on my website in due course. can we assume that this will mean full software operation as in Flex's "SmartSDR"? but produced by Icom? 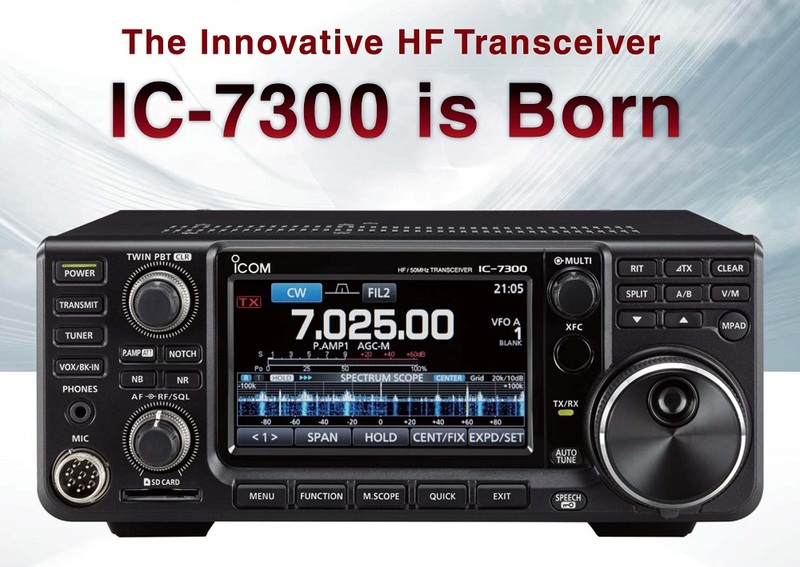 since you're the Icom soothsayer, what has been the past lag time between a Toyko HamFair announcement and radios being offered for sale in the US? Dayton, Orlando, Two Daytons hence? I have watched the video, and have downloaded the presentation. I stand corrected on the BDR, vs clipping range. I think that the clipping range of the direct samplers is still a bit less than the BDR of the best superhets, from what I see of the specs and dBm figures for the onset of clipping. Clipping onset will be a very important spec for the SDR, and will be I think determined by the ADC, with possibly some help coming from front end filtering. It will be interesting to see how the 7300 works. From the one 5+ minute video, it seems to have many features, and if the performance is anywhere near what I think it could be, and the price is in the $1200-$1300 range as speculated, it will be a game changer. I would think it may exceed the performance of a couple of conventional ICOM rigs higher up the line. It seems from looking at this that the feature set is what would be on a $2500-$3000 radio, but I would like to see more details on features, available controls, and more ergonomic details. I currently have a Ten Tec Orion here in the shack as well as a QS1R SDR, which I purchased in 2008, so I am familiar with Direct Samplers. If the Receiver performance can get close to that (which I would think that it should as parts costs have come down). It should be a sweet rig, if it is as it looks and there are no bugs or upcoming surprises. The closest stand alone xceiver is ADAT 200a, which I have. What it lacks is touch screen which will make a big difference especially in portable ops. I have my pre-order in and waiting for US approval! Any one know the tentative release dates here in the U.S. or elsewhere?